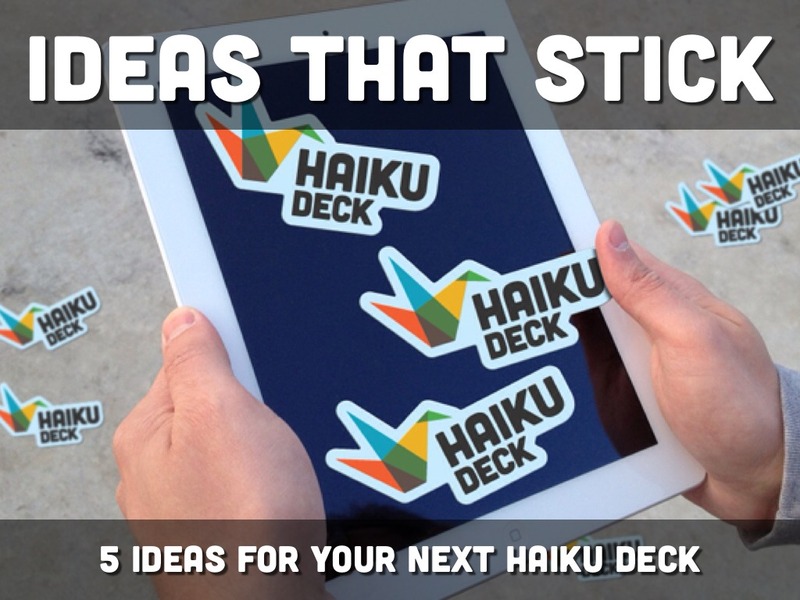 Whether you're building a sales presentation, preparing to speak at a conference, or promoting your service, Haiku Deck streamlines the design process so you can focus on your message. Get started by copying one of our templates so you can tailor the content for your presentation needs. To get started, walk through our Press Kit Template which you can copy and customize after creating your own account. Otherwise, explore the templates below and find inspiration for your next presentation.